Salesforce recently released their 2015 State of Marketing report, which provides important insights into the current digital marketing landscape. The survey looked at the marketing priorities and strategies of 5,000 marketers from around the globe. These insights not only give us a good picture of current marketing trends, but also ways to improve our own marketing over the coming year. This report makes three areas of focus abundantly clear: mobile, social, and email. The recommendations below will focus largely on how these three channels are being utilized, so you know how you need to be investing your time and resources in 2015. What should your marketing priorities be in 2015? Clearly, social and mobile are the frontrunners in terms of focus. Businesses would do well to shift resources to these important areas in order to remain competitive in 2015. 1. Mobile should be a top focus. All signs have been pointing to the increased importance of mobile-friendly design and content, but perhaps none so much as Google's impending move toward using mobile-friendliness as a significant ranking factor. According to the State of Marketing report, marketers are getting the message, and are focusing on responsive design for their websites, emails and landing pages. They are also seeing an increased impact from mobile marketing; in fact, 90% of marketers believe mobile is in some way producing ROI. Given this increase in ROI, the significant increase in mobile marketing integration since 2014 is not surprising, with 68 percent of marketers having reported integrating mobile into their marketing strategy, up from 49 percent the year before. The report stresses investment in mobile is critical for new business development: "The number-one most pressing business challenge for today’s marketer is new business development. Where is that new business hiding? On smartphones and tablets, which are increasingly responsible for a bigger portion of all time spent online." 2. Increase your investment in social to remain competitive. While mobile integration has seen significant growth over the past year, investment in social media has exploded. This is something that I've been pushing hard over the past two years but focused on a lot more with my latest startup Due. In 2014, 25 percent of businesses reported social as a critical enabler of their startup, this number more than doubled to 64 percent in 2015. 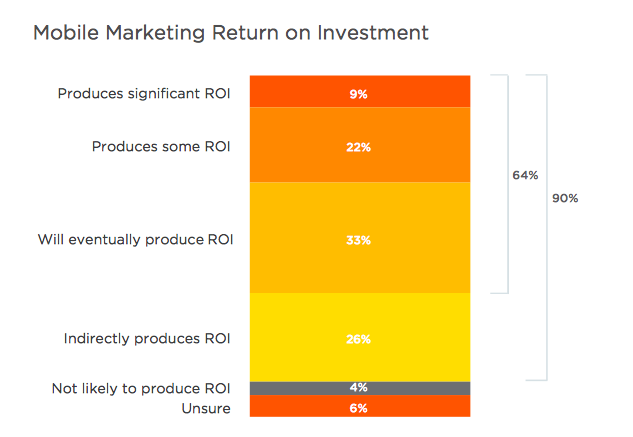 Reported ROI's have increased accordingly: 85 percent of marketers reported social as producing an ROI. Investment in staffing has also grown, with 83 percent of businesses employing more than one person to manage their social media. 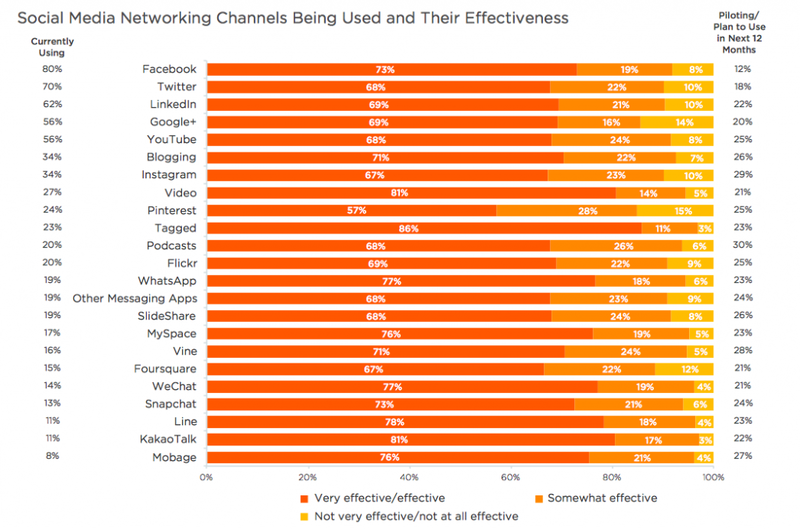 Given that almost twice as many marketers say social media is a primary revenue driver, the increased investment in social media teams is to be expected. Given that social advertising is high on the priority list for most marketers this year, it's important to understand how your organic and paid social media activities can work together: "Seventy percent of marketers plan to invest more money in social media advertising next year, making it the number-one area in which they plan to invest more budget (tied with social media marketing). Realize that spending more money on social media won’t work if your social presence is negligent or too self-promotional, so advertising and organic content must work in tandem." Email marketing is another channel that's poised for growth over the next year. Email team sizes are growing, with 73 percent of marketers saying email is core to their business. 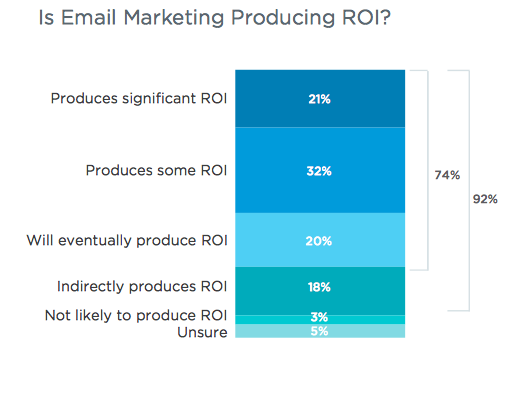 Email ROI is also up from last year, with 92 percent of marketers saying email was in some way producing ROI for their company. According to the report, this investment in email corresponds directly with the increased use of smartphones: "One-third of marketers said their subscribers read emails on mobile devices at least 50% of the time. (See the next section for more on mobile email trends.) Fifty-nine percent of marketers plan on increasing their email marketing budgets in 2015, hoping to give subscribers more email content and a better experience on their mobile devices." Understanding where marketers will be investing their resources in the coming year can give us insight into how we should be spending our own marketing dollars. Perhaps more importantly, seeing which strategies and channels are most effective in terms of ROI can help us avoid some of the trial and error process. Always, however, test out a variety of strategies and channels to see how they perform with your audience.